barton originals: Now, THIS Is A Tree! 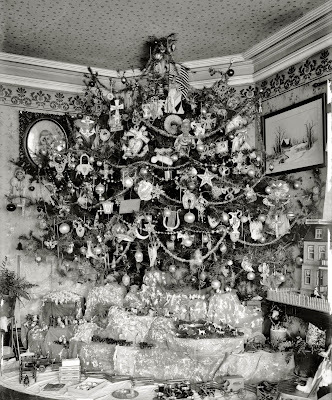 fabulous image of an incredibly large Christmas tree, circa 1920. Please click to view it in larger size, as the ornaments are a delight to behold! tree and closeup detail of the wonderful toys and ornaments. Sue, Love the Photo... Now that tree I would leave up all year round! Unreal and that whole village. Wow.